Comórtas Champions . . . Pictured are the Barna ladies who beat Naomh Abán of Cork to reach the Intermediate Final of Comórtas Peil na Gaeltachta, on Sunday in Moycullen. 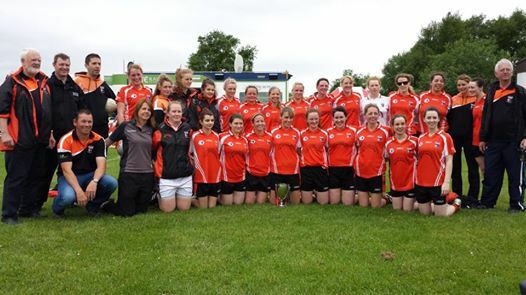 The girls beat Naomh Anna Leitir Mór in the final on a score of 4-10 to 2-7.